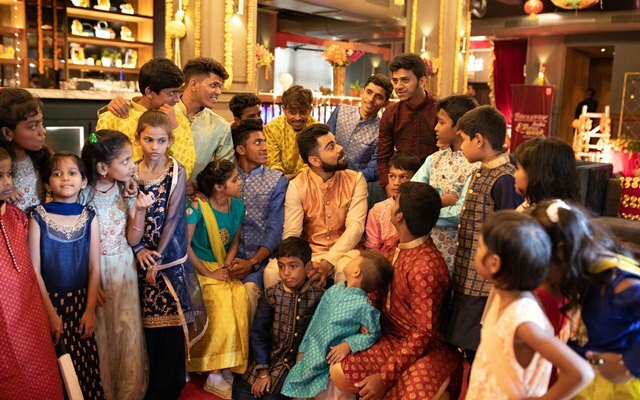 Virat Kohli celebrating Diwali with kids in Dharavi. 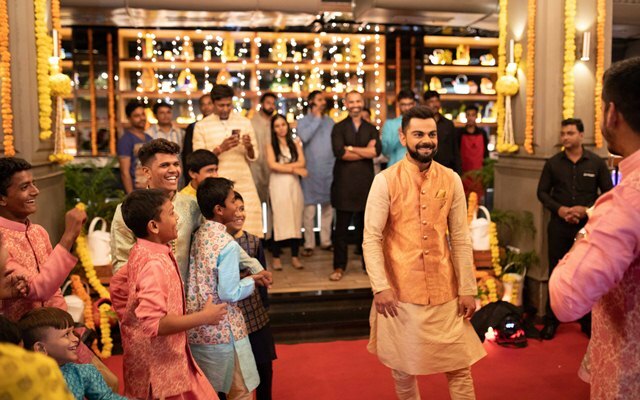 Manyavar and Virat Kohli came together to usher in an early Diwali for the underprivileged kids at Dharavi. The initiative was to make Diwali celebrations a little more inclusive by ensuring that we spread the cheer and festivities of Diwali with one and all. 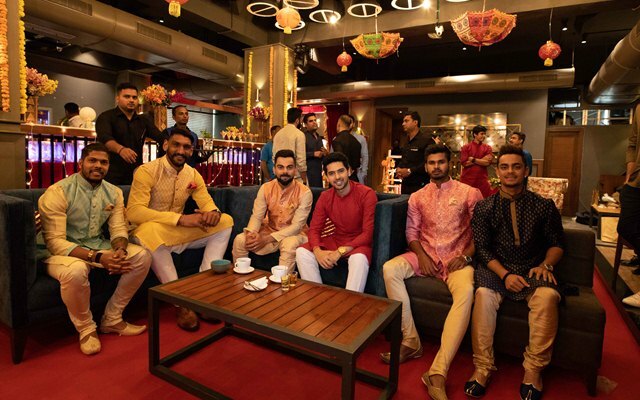 Manyavar Diwali celebration was a star-studded affair, where Virat Kohli was joined by Armaan Malik, Umesh Yadav, Shreyas Iyer, Ishan Kishan, Manjot Kalra, Satnam Singh and many others. The kids were elated to celebrate with these stalwarts and the happy smiling faces said it all. What ensued was fun, dance, gifts and laughter! 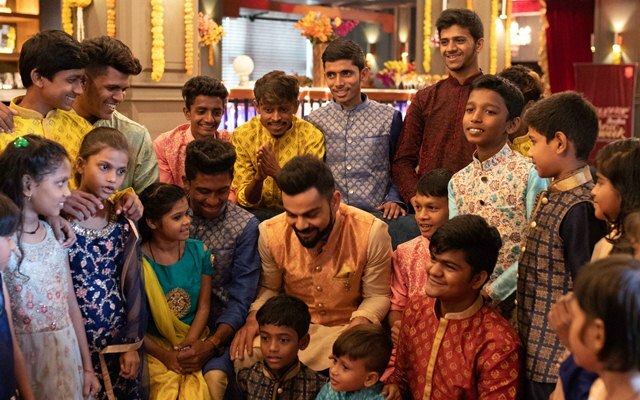 Virat Kohli celebrating Diwali with kids. Not to forget the fabulous musical performance the kids at Dharavi Reloaded put up for all the players. Virat & Shreyas showed their killer dance moves while Armaan hit a few notes with the Dharavi Reloaded kids. The kids looked colourful while the celebs looked dapper in their Manyavar kurtas and jackets! The thought behind Manyavar’s ‘India Ethnic Week’ celebration is rooted in the fact that Diwali isn’t just a day-long affair; preparations start in advance. The festivities also begin two days before Diwali, from Dhanteras onward and go on till two days after Diwali, till Bhai Dooj. Each day has its own set of religious rituals, social customs, traditions and fun; being dressed in ethnic wear, adds to the #FestiveWaaliFeeling. Virat Kohli, Umesh Yadav, Ishan Kishan, Shreyas Iyer along with others.